Extended rear-facing is not new. 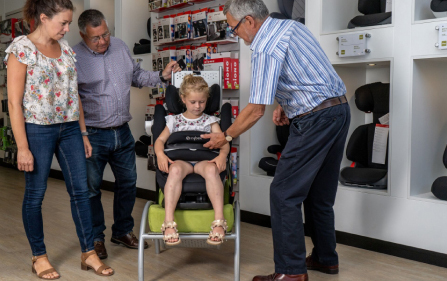 In Car Safety Centre has been supplying rear-facing seats since the 1980’s. 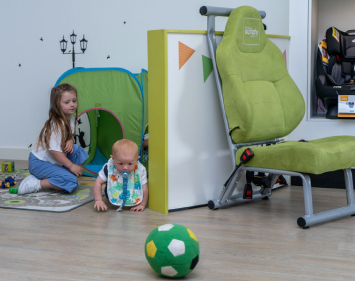 ECE R129 is a new European regulation for children’s car seats (CRS) which was introduced in 2013. This regulation requires babies to be transported rear-facing until they are at least 15 months. This is a step up from the older regulation ECE R44, which stated that babies could be turned forward-facing from 9kg. In pure safety terms, is it really enough? The Swedes started rear-facing their children in 1965, and transport them rear-facing until they are at least 18kg (approximately 4 years of age) and often up to 25kg (approximately 6 years of age). We always recommend that children travel rear-facing for as long as possible because it offers greater protection to your child. A baby/child is not a little adult. Their developing bone structure is not sufficient to protect the organs. A child’s head may be up to 4 times heavier than the rest of its body, and the muscles in the neck and back are not strong enough to support this weight. 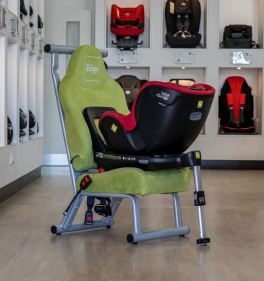 In a head -on collision in a forward-facing seat, your child’s head will be thrown forward causing severe injuries to the neck and spine. Whereas, in a rear-facing seat, their head, neck and back are supported by the CRS, reducing the force on the neck. We refer to head-on collisions rather than rear-end collisions as in a head-on collision, two cars are travelling in opposite directions and when they make contact, there is extreme deceleration. This means the seat belt or harness will stop the body but the head will continue moving forward at the same speed in which the car was originally moving, causing severe strain on the neck and spine. 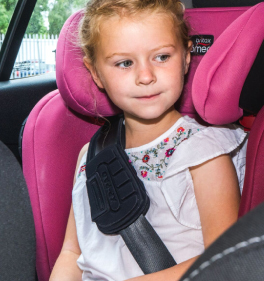 However, in a rear-end collision, even if your child were to be in a rear-facing seat, although the head would still be thrown forward, the two cars are moving in the same direction so there is not the same extreme deceleration meaning less strain on the neck and spine. Head-on collisions also make up approximately 47% of collisions, while 6% are rear-end collisions. We should be more concerned about the physical impact of frontal collisions. We offer an extensive range of extended rear-facing seats to suit all needs. Some rear-facing seats will grow with your child until 18kg, while others will accommodate child up to 25kg. You can read more and browse our range here. 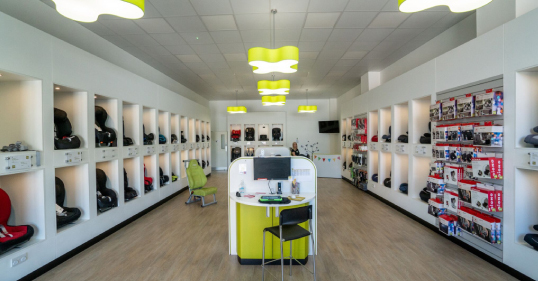 Feel free to contact our highly trained team with any queries you may have. We are more than happy to help you find the perfect seat.